I met Lindsey Lane when I presented at the SCBWI conference in Austin. Aside from having a great time with those Texas folks -- barbecue, Book People, bird watching --, I learned that Lindsey was completing her MFA at the Vermont College program. Then, ten minutes later (well, it seemed like ten minutes to me; it no doubt felt longer than that to Lindsey), I learned her first book was coming out. When I asked her to write a guest post, she admitted to being stymied. So I suggested a few possible ideas, including the one that launched her into the thoughtful post below. from Kirby: Write about a dead end that turned you in a different direction? In a way, the beginning and ending of every book must be discovered. Let me explain. For Evidence of Things Not Seen, there were a few beginnings. There was the beginning when I woke up from a dream where I saw a boy standing in a pull out by the side of the road. I wondered what that boy was doing there, so I began writing into the dream, into the place by the side of the road, into that landscape and its people. But there was also the beginning several years before when I wrote a play called The Miracle of Washing Dishes, which was a play about the epiphanies characters had while washing dishes. The epiphanies and the dishes held the play together. I think the play was a success because people like to witness epiphanies. They like to feel their world can be shifted even if they are too afraid to do it themselves. There was also the beginning when Alexander Calder’s mobiles touched my work and I realized that I could fracture a storyline and that all the fragments would still hold together and tell a complete story with spaces for the reader to enter in and make it their own. These few beginnings above informed me as a writer. They brought me to the place of telling this particular story. The boy led me into the world of the pullout where everyone who came there had some sort of epiphany. The characters each had their own gossamer thread and, because the center of the story was missing (Tommy), the threads wobbled (like pieces of a mobile) as they do when some thing has gone missing from our lives. Each time we come to the pages of our manuscripts, we bring our history as well our intention to tell a true and honest story. We quarry for the best nuggets and we line them up one by one leading the reader deeper into the world we have created. But where do we take our readers once we have them traveling the bloodlines of our stories? Where do we want them to land? What feeling do we want them to have as they step away our stories? Comfort? Despair? Promise? If each story line shakes the characters to their core and brings them to a revelation, could I really wrap the whole kit and caboodle in a bow? I knew that I didn’t want to land in a place of despair. That wasn’t the essential truth in each character. Each epiphany, each revelation was meant to be positive. You see, essentially, I believe that people treat people like they want to be treated and that given a choice, we fall on the side of good. But at the same time, there is a natural anxiety in being alive. We don’t know what will happen tomorrow. We don’t know what will happen when we wake up in the morning. We can feel afraid. Or we can live with the mystery and find the promise that something good might happen. That’s where I landed the book: there is promise in the mystery. 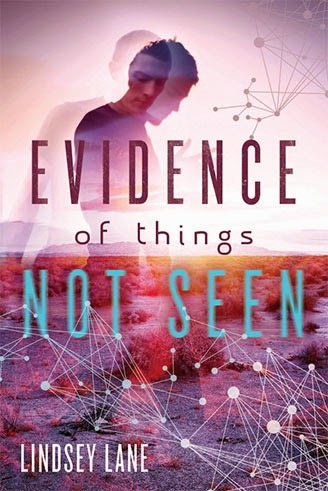 adult novel EVIDENCE OF THINGS NOT SEEN (Farrar Straus Giroux Books for Young Readers) has just been released. 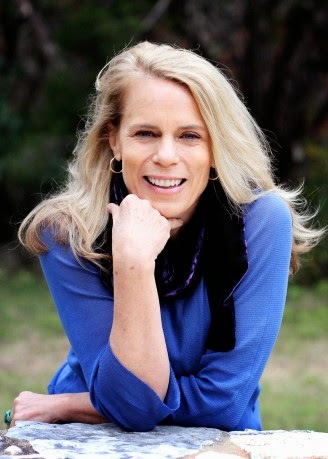 Lindsey lives in Austin, Texas with her family. Kirby, It was such a pleasure to compile these thoughts for Friend Friday.